Count down to a LEGO Friends Christmas this December. Build the holiday story with Stephanie on her journey to the Christmas market. Take her snow scooter past all of the holiday-themed scenery you'll find hidden inside. Then stop off for presents, snacks and some winter fun with ice skating. Find animals, build decorations and help her to get ready for the best holiday in Heartlake City. 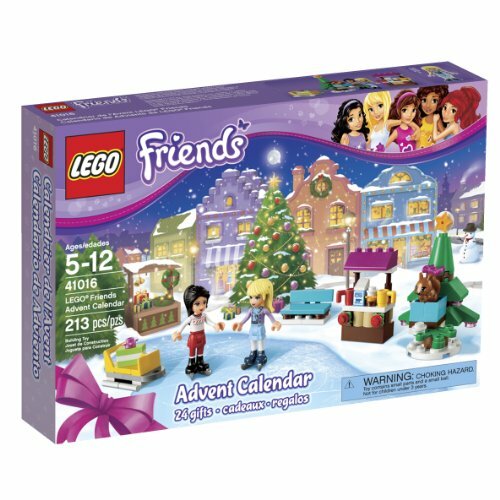 Includes Stephanie and Lily mini-doll figures with 24 buildable surprises in a calendar with 24 secret compartments. 213 pieces.